In a world where first impressions matter, you need to be on your toes constantly, especially if you’re a business owner. When customers walk in the door, you only have a few seconds before an opinion forms in their minds. What do people notice when they walk in the door of a business establishment? They notice the lighting, the furnishings, the atmosphere, the music if any is playing, the plant life, the office personnel and how he or she or any other workers nearby are dressed and appear, the smells, and the floors–all in a matter of seconds. An impression is formed that you will never have a chance to replace. You might overcome it, but the first impression is always there like the lure of a chocolate chip cookie. Premier Polishing Corp specializes in concrete flooring, both polished concrete floors and polished cement floors. We are a certified polished concrete expert in Husqvarna HIPERFLOOR®, which we believe is the best concrete polishing system in the world. HIPERFLOOR® by Husqvarna brings out the beauty in the oldest flooring and makes the newest flooring as beautiful as Cinderella at the ball. 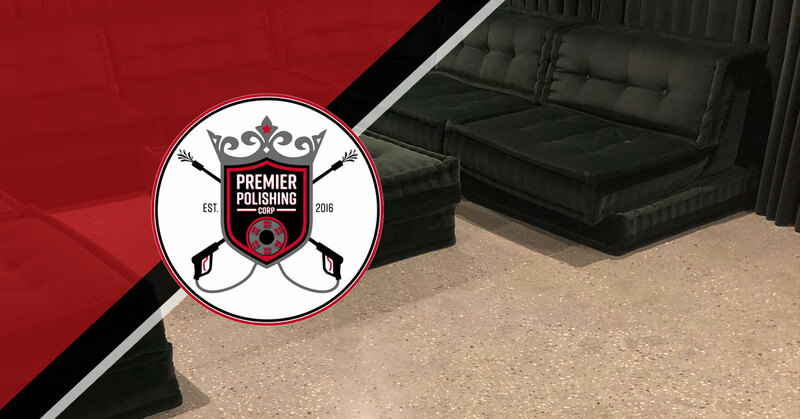 The flooring is refined through grinding, polishing, and chemical treatments that can be tailored to your requirements such as aesthetics, floor flatness, gloss, and price. 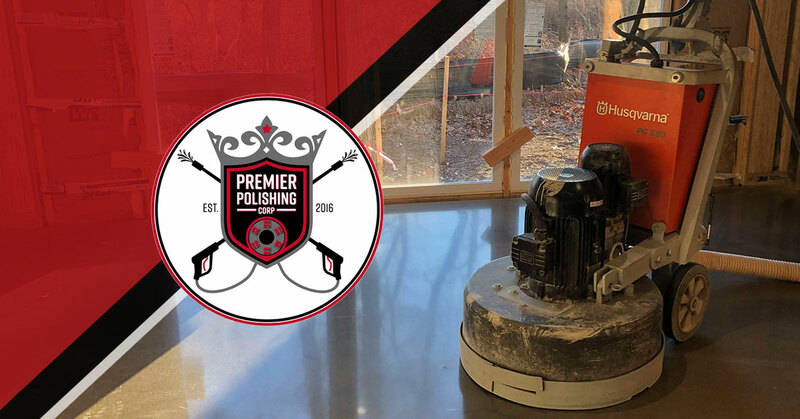 Our concrete finishes are customizable as well as based on your needs with premium, commercial, and industrial finishes. 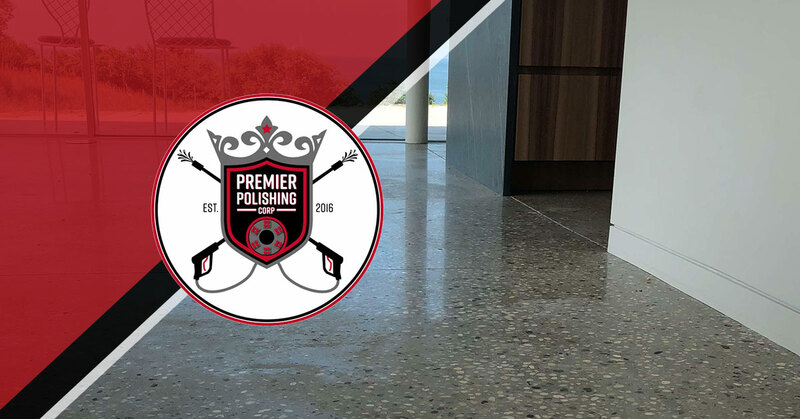 Premier Polishing Corp takes pride in customer satisfaction and looks forward to meeting your concrete polished surface needs! Concrete is the most popular artificial material on Earth. In fact, humans use more concrete than steel, wood, plastics, and aluminum combined. It built ancient civilizations. It continues to build civilizations today. Concrete can be made of different ingredients but in essence it’s a bunch of rocks or gravel mixed together with water and cement (a substance made out of lime and clay). Invented by the Romans, they used it to build one of the largest empires ever known to man that lasted for centuries–thanks in part to this unassuming substance. We’ve all walked on regular concrete. In fact, we probably walk on concrete almost every day. It feels rough and textured. Concrete is by nature porous unless special ingredients are added. 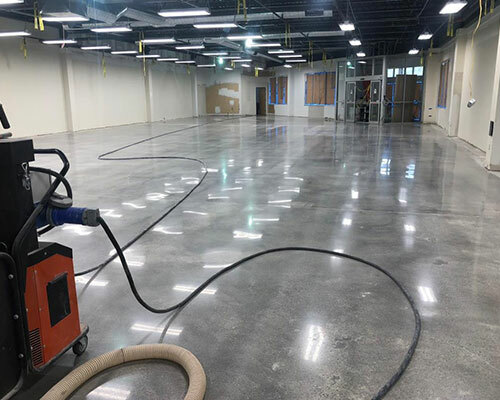 Polished concrete is regular concrete treated with a specially-formulated concrete densifier to fill the natural pores that are inherent in concrete to smooth it out and improve its aesthetics and functionality. Is Polished Concrete Right for You?